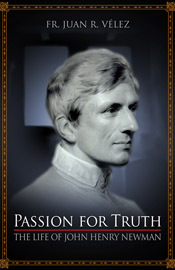 My book, Passion for Truth, the Life of John Henry Newman, has been released by TAN, and God willing will help some of those who read it grow in the Faith, and others to come to the Catholic Church. -Please tell friends about it, and consider obtaining a copy yourself. -Ask your public library and school library to purchase a copy. -Tell your local Catholic or Christian book store about it. -Consider using it for your CCD group, Young Adult Group or Book Club. -Think of giving a few copies to the nearest Newman Center or Catholic University Chaplaincy.